Each one of these components may not be done with every client. The first question asked of any patient is ‘Why are you here today?’ Understanding what problems the patient him- or herself may be experiencing with hearing is important and will help the audiologist with the rest of the evaluation. Does the individual feel one ear is better than the other, or do they seem to be similar? Does the person have trouble on the telephone, watching television, in restaurants, hearing signaling sounds such as the doorbell, smoke detector or alarm clock. Has the individual ever worn/tried hearing aids? This is important to know because that person’s history of and attitude toward hearing health care and amplification can have a large impact on the course of treatment. Does the person have any medical conditions, such as wax build up, bleeding from the ears, earaches, or had surgery on the ears? Does the person experience dizziness? Dizziness is important because many conditions that involve dizziness may also involve hearing/hearing loss, and vice versa. If a patient reports dizziness the audiologist will most often include a physician referral for that patient in the recommendations. Does the person have a family history of hearing loss? Many causes of hearing loss have a genetic origin or genetic component, and a genetics and/or physician referral may be appropriate for some patients and their families. Meningitis, scarlet fever or mumps as a child could lead to hearing loss. Kidney disease, diabetes and heart/circulatory problems can affect hearing. What medications is the person currently taking? Several medications have ototoxic side effects. Immittance is a made-up name for a set of audiologic tests in which eardrum/middle ear and nerve function are examined. “Immittance” is taken from two ideas: 1) admittance, or how much energy moves through a system, and 2) impedance, how much energy is blocked from moving through a system. Audiologists are interested in determining how easily sound travels through the middle ear to the cochlea, the end organ of hearing because that helps them figure out if someone has a hearing loss, as well as how much and what type of hearing loss they may have. Tympanometry is the name of the test used in audiology to find out how well the middle ear is transmitting sound. To work normally the middle ear must be air-filled. Fluid can build up in the middle ear when the Eustachian tube is not working correctly. When this situation occurs, the person can experience an earache, or otitis media, which is what many children experience, particularly in the winter months. Otitis media often leads to reduced sound transmission through the middle ear, resulting in temporary hearing loss that resolves when the fluid drains out. 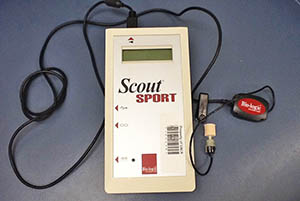 This is a tympanograph, which performs the tympanometry test. 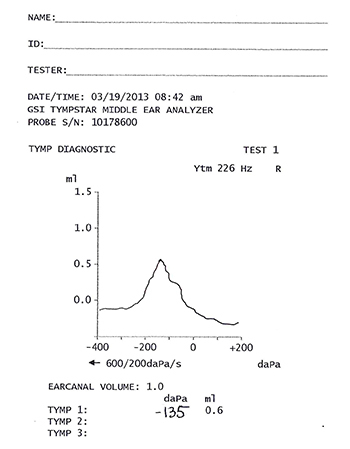 Type A Tympanogram – This result indicates normal function of the eardrum and middle ear. 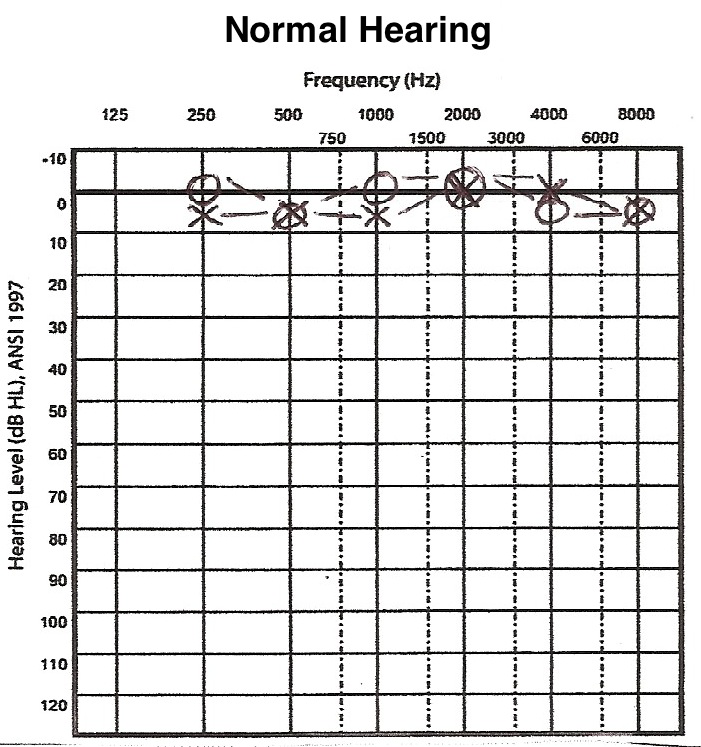 Type B Tympanogram – Audiologists see a Type B usually when there is fluid filling up the middle ear space (red line). They can also see a Type B when there is a hole in the eardrum (blue line) that will be higher on the graph than the fluid. Conductive hearing loss is often associated with Type B. 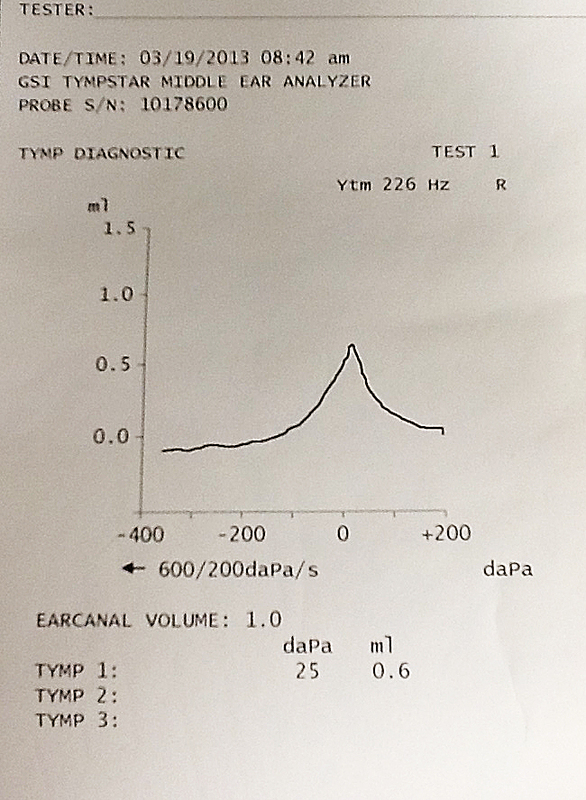 Type C Tympanogram – This result tells us the person’s Eustachian tube isn’t working well. They could be just contracting or just recovering from otitis media. Type C might also be seen in a person with upper respiratory challenges, such as someone with allergies. A Type C tympanogram may or may not have hearing loss accompanying it, but even if not, the person may feel stopped up and sound can be muffled. As with most Type B tympanograms the hearing loss is temporary and hearing returns to normal when the underlying medical condition clears up. There are two muscles in the middle ear, the stapedius and tensor tympani, that contract when people hear a loud sound. That contraction is called the acoustic reflex. Some people think this reflex is there to help protect their ears from loud sounds; it may protect them a little, but in general the reflex happens too slowly to prevent that loud sound from getting to the cochlea. Audiologists measure the acoustic reflex to look at whether a person’s nerves in the reflex pathway are working correctly. The illustration below shows the acoustic reflex arc. The process looks complicated, but basically sound travels through the system in the usual way: ear canal through the middle ear to the cochlea and up the nerves. The difference here, compared to regular hearing, is that the sound triggers the nerve that makes the stapedius muscle contract, so that information is traveling down to the ear from the brainstem rather than from the ear all the way to the brain. No matter which ear hears the sound, the reflex happens in both ears. This fact allows audiologists to check four different reflex pathways. Audiologists check the acoustic reflex to look at nerve integrity. See the gray region of the CPT Codes for those used by audiologists for tympanometry and acoustic reflex decay. Over the last three decades, particularly since the 1980s, scientists have made many discoveries about how the cochlea works. Understanding the functioning of the cochlea proved more difficult than understanding the eyes or smell, for example, because the cochlea is hard to get to, tucked inside the hardest bone in the body, the temporal bone. However, one discovery that was theorized around 1948 and proven in 1978 is a phenomenon called otoacoustic emissions, or ‘OAEs’. OAEs refers to the sound that the outer hair cells in the cochlea actually sends out through the middle ear and ear canal when they are working properly. Does it seem weird that the ear can emit a sound? This would be comparable to me saying our eyes can emit light. The ear is the only known sensing system that has been found to do anything of this sort. These OAE sounds are very faint, and to be detected a special machine that has a very sensitive microphone is placed into the ear canal. A sound, either a click or a pair of pure tones, is sent into the cochlea. If the outer hair cells are healthy, sound is echoed back and captured by the microphone. If the outer hair cells are not functional, sound does not echo back. Outer hair cells can echo back sounds because scientists have discovered that the outer hair cells, but not the inner hair cells, have muscle fibers inside them that cause the cells to move up and down. Functioning outer hair cells are important for hearing to occur, but they are not the same thing as ‘hearing’. ‘Hearing’ is a behavior, and that means a person must take in sound, the sound must travel to the brain, the person must make sense of the sound and then respond. This entire process is ‘hearing,’ but if the cochlea isn’t working well, the information that gets to the brain cannot be comprehended. 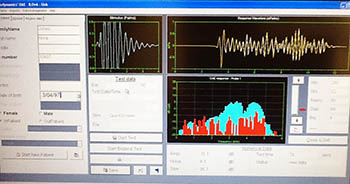 There are currently two types of OAEs that are measured in audiology clinics: distortion product otoacoustic emissions (DPOAEs) and transient evoked otoacoustic emissions (TEOAEs). However, scientists and audiologists aren’t sure right now whether these represent different ways for the cochlea to work, so they are considered to be interchangeable. Picture A below is the result one gets with DPOAEs, while Picture B is the result with TEOAEs. The main difference between the two is that to get DPOAEs two pure tones are played into the ear canal simultaneously to cause the echo and to measure TEOAEs the sound sent into the ear canal is a click. 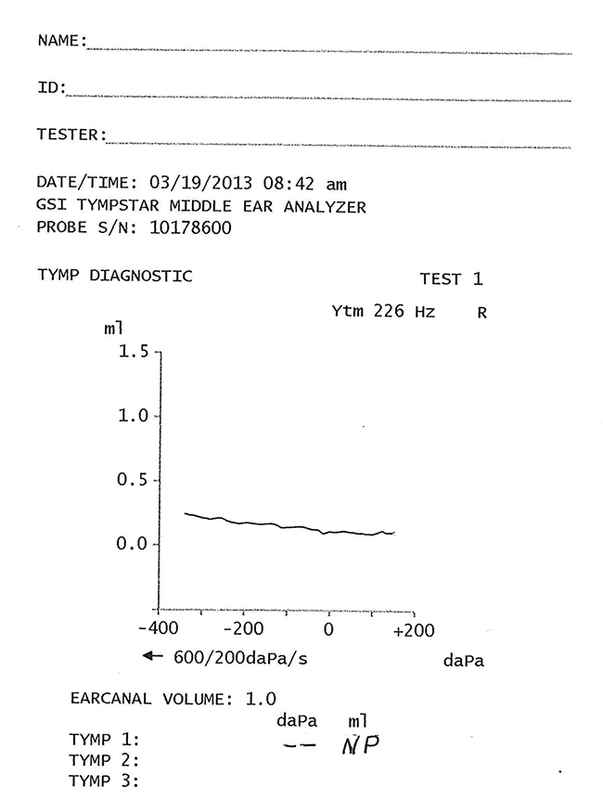 These results indicate normal or ‘robust’ emissions from this ear. A) The Xs represent the emissions at the various pitches for the left ear. Normal levels of emissions are anything between the two wavy lines. The squares represent the measure of noise present in the room when the emissions were measured. See the gray area in the CPT Codes for the codes audiologists use to bill for OAE testing. When most people think about a hearing test, they typically think of pure tone testing, raising your hand when you hear some beeps. This testing occurs in a sound-treated booth that has carpeting and low lighting. 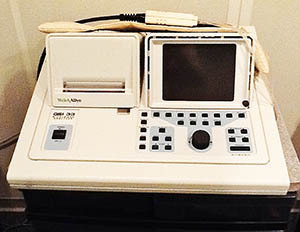 The audiologist is seated outside the room behind an audiometer (as seen below in the photo). The audiologist plays out a series of tones and the client is told to raise their hand, say ‘yes’ or push a button whenever they hear a tone, even if the tone is very faint and they are not sure they even heard it. The softest sound that a person responds to at least 50 percent of the time is called the pure tone threshold. Hearing thresholds are measured at several pitches, or frequencies, given in cycles per second or Hertz: 250, 500, 1000, 2000, 3000, 4000, 6000 and 8000. Sometimes additional frequencies are measured: 750, 1500, 10,000, 12,000. When considering that the frequency range of human hearing, in the absence of hearing loss, is from 20 Hz to 20,000 Hz and every frequency in between, a pure tone hearing test does not give audiologists very much information. However, audiologists can develop an overall picture of the person’s hearing sensitivity in the various frequency ranges of low (250-500), middle (1000-3000) and high (4000-8000) pitch ranges. These divisions of frequency have served us well and will continue to do so because the low pitches are where much of the energy of the vowel sounds is and also energy in noises (such as air conditioners, groups of people talking). The energy of consonants is in the middle-to-high pitches, by and large. In the 1940s a couple of engineers at Bell Laboratories performed an experiment to figure out what pitches were important for understanding speech. They were interested in this question because they wanted to determine how much bandwidth they needed to put into telephone lines. Using their results we can split the pitch range into 2 pieces at 1500 Hz; 35% of speech information is in the lower half, between 20-1500 Hz, and 65% of speech information is above 1500 Hz. This is important because most individuals with hearing loss first lose high frequency information, which can impact the understanding of speech even though it may not affect the loudness of speech. People with low frequency loss complain that speech is too soft, but they often can understand the speech better than individuals with a high frequency loss. Thresholds are measured on a loudness or volume scale: deciBel or dB scale. There are actually several different types of dB scales and the scale used in audiology clinics is the dB Hearing Level (dB HL) scale or sometimes the dB Hearing Threshold Level (dB HTL) scale. Pure tone testing occurs with two types of earphones. The first (photo A) is regular earphones that fit either over the ears or into the ear canals (photo B). This testing is called air conduction pure tone testing because the sound is conducted through the air into the ear canal and the middle ear to the inner ear, as in everyday life. 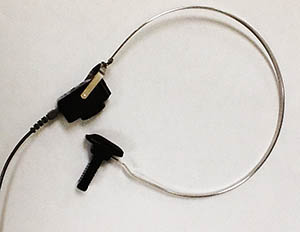 The second type of pure tone testing is done with a bone conductor (photo C). This earphone sits on the skull on the bony piece behind the ear (mastoid process) or it might be placed on the forehead. The tones sent to the ear through the bone conductor do not travel through the ear in the normal way. Instead, the bone conductor makes the skull vibrate and those vibrations are carried directly to the inner ear, by passing the outer and middle ears. 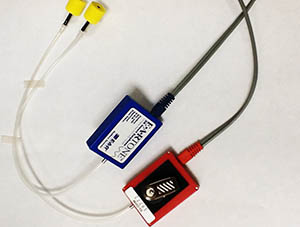 The second type of pure tone testing is done with a bone conduction ear phone (photo C). This earphone sits on the skull on the bony piece behind the ear (mastoid process) or it might be placed on the forehead. The tones sent to the ear through the bone conductor do not travel through the ear in the normal way. Instead, the bone conductor makes the skull vibrate and those vibrations are carried directly to the inner ear, bypassing the outer and middle ears. It is important to test hearing along these two pathways because that allows the audiologist to diagnose whether a hearing loss is conductive (the problem is in the outer or middle ear or both) or sensorineural (the problem is in the cochlea or more rarely in the nerve). A medical referral for individuals who have conductive hearing losses is most often made, unless that person is already under a physician’s care for the problem or they have been told by their physician that no further medical treatment is available. 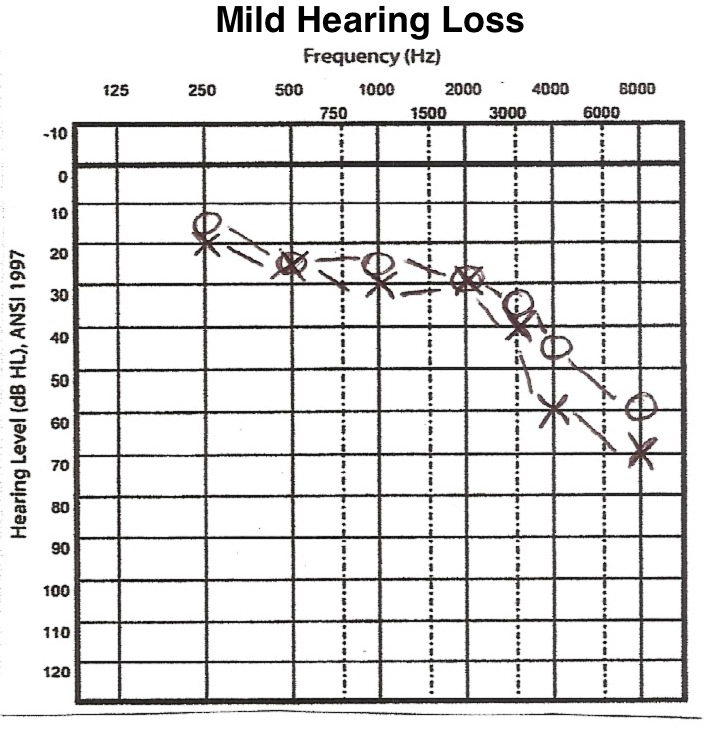 Below are several audiograms to demonstrate conductive versus sensorineural hearing losses on paper. On an audiogram for air conduction thresholds, Xs are used to denote air thresholds for the left ear and circles for the right ear. Sometimes if one ear is much worse than the other the audiologist has to send a noise (static) to the better ear to keep it busy while they are testing the worse ear. In those cases the symbols used change and squares are used for the left ear, triangles for the right. ^ indicates the audiologist had the bone oscillator on the forehead or simply that neither ear is indicated. In an audiogram, soft sounds are indicated at the top (-10, 0 dB HL, etc.) and very loud sounds at the bottom (110 or 120 dB HL). The lower on the audiogram a symbol is located, the louder the listener needs it to be in order to detect it. The pitches (or frequencies) tested are indicated across the top of the audiogram. Symbols located anywhere between -10 to 25 dB HL are considered to be in the normal loudness range for adults. 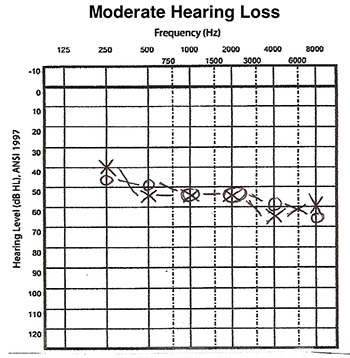 If the symbols are physically lower on the audiogram, graphed next to higher numbers on the Y-axis, that person has hearing loss. 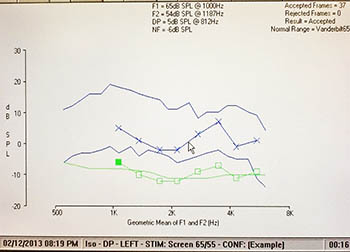 An audiologist decides whether a hearing loss is conductive or sensorineural by looking at the relationship between the air conducted and bone conducted thresholds. If the bone symbols are normal but the air symbols are poorer than 25 dB HL, that person has a conductive hearing loss. In this case there is a gap between the bone and air symbols. If all the symbols are located close together on the audiogram and are poorer than 25 dB HL, that person has a sensorineural hearing loss. However, it is possible that a person has this gap with the bone thresholds poorer than 25 dB HL and the air thresholds even poorer. This is called a mixed hearing loss and has a portion that is conductive and a portion that is sensorineural. Audiologists have several different ways to describe the results of pure tone testing, which can be quite confusing. One method is to calculate the pure tone average, which is typically the average of the air thresholds at 500 Hz, 1000 Hz and 2000 Hz. This value is then compared to the scale in the table below, and the degree of hearing loss is assigned according to the pure tone average. While describing a hearing loss based on a single loudness level may be convenient, it often does not capture the difficulty that listener may have in day-to-day listening situations. * The ‘slight’ category is most often used with children, not adults. ‘Normal’ for adults is -10 to 25 dB HL. A second way audiologists may talk about a hearing loss is to describe the configuration across frequencies, for example, a sloping sensorineural hearing loss or a flat conductive loss. The report received from the audiologist will, most likely, state the degree of hearing loss based on the pure tone average, but this is not always done. 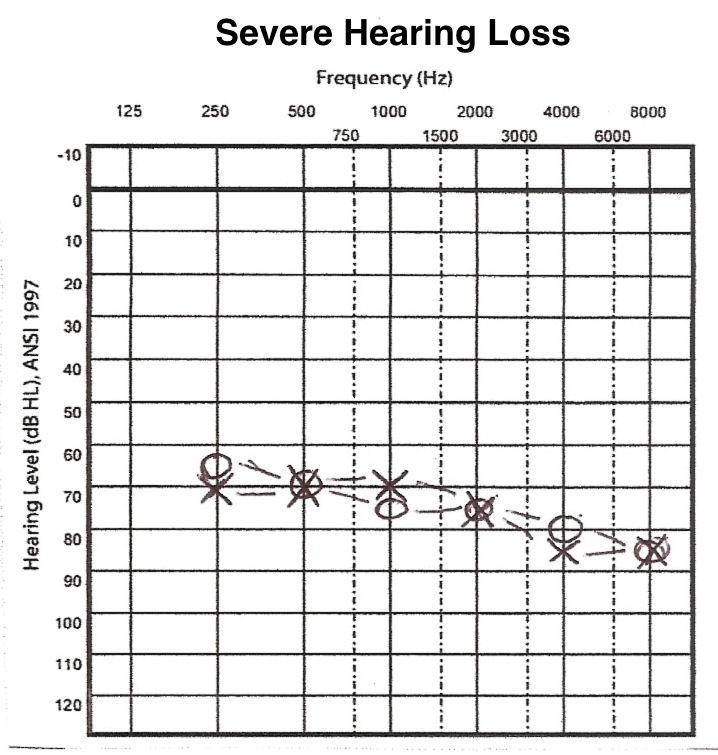 Below are sample audiograms to demonstrate various degrees and types of hearing loss. Also included are probable characteristics for that DEGREE of hearing loss, that is, how ‘bad’ the hearing loss is, in terms of day-to-day communication. These characteristics are adapted from the University of Wisconsin-Online website. Pure tone average (R) = 27 dB HL (mild); this configuration of hearing loss is quite common and is one in which using the pure tone average to describe the loss may be misleading. Because the higher pitches have more hearing loss, these individuals can have great trouble understanding speech in a noisy background. They can benefit from amplification, particularly ‘open-fit’ technology (see the Hearing Aids and Implants module for a description). 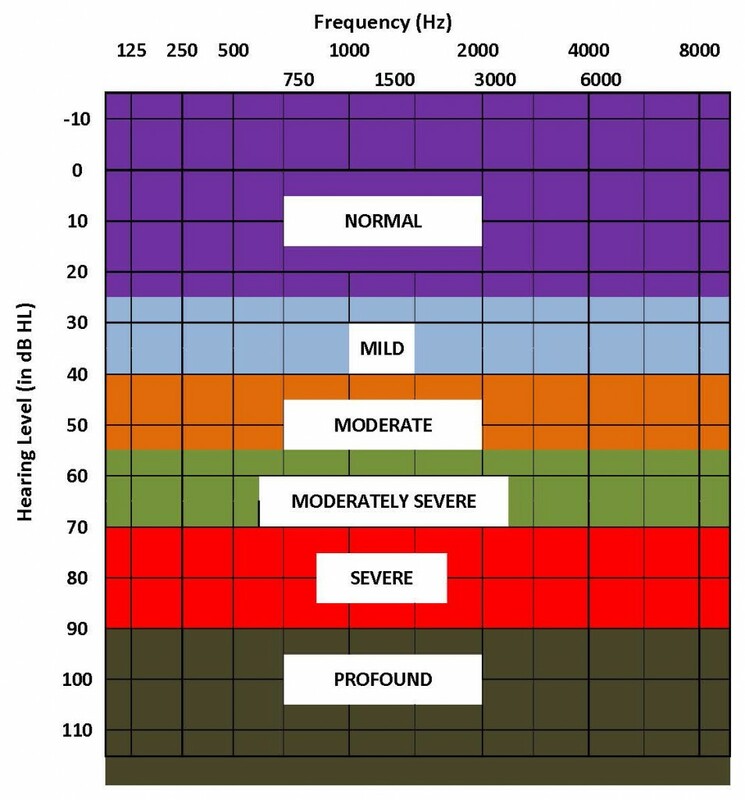 Visit healthyhearing.com for “The Audiogram: Explanation and Significance,” by Dr. Mark Ross. Dr. Ross is a Korean War veteran who sustained significant hearing loss. After, he became an audiologist and university professor spending his career educating audiologists and trying to help audiologists understand the difficulties people with hearing loss can have. Please look at Figure 3 from Dr. Ross’ website, which displays two vastly different hearing loss configurations that will likely result in different challenges to the listener, but each ear has the same pure tone average. Speech is one of the most important auditory signals for humans. There are two types of speech testing that are always performed as part of a routine hearing evaluation: speech reception threshold (SRT) and word recognition in quiet. Before going further, the field of audiology has renamed one of the speech tests that we generally give patients. In the past we performed what was called ‘speech discrimination’ testing; now that same test is called ‘word recognition’ testing. When the SRT is measured, the audiologist is looking for the softest level that a person can repeat words correctly 50 percent of the time. The words used in the SRT test are 2-syllable words called spondees and are generally spoken by the audiologist. These words have equal stress on both syllables; some examples are: ‘bathtub’, ‘baseball’, ‘hotdog’ and ‘armchair’. During this test the volume is changed such that the person will clearly hear some of the words but will not be able to understand others when they are very soft, which is normal. The result of the SRT test is the volume, or intensity level, at which the person repeats back the words correctly half the time, e.g., 50 dB HL. A second function of the SRT is as a comparison to the results of pure tone testing; the pure tone average and the SRT should agree within 5-10 dB. If those two values have a difference greater than that, the audiologist is alerted that something is not right and additional testing and/or checking should be completed. If the vocational rehabilitation (VR) counselor receives a report and/or audiogram and these two numbers have a difference of greater than about 5 dB, and there is no explanation either in the report or on the audiogram, the counselor should call the audiologist. Word recognition in quiet testing is quite different from the SRT. First, the word recognition test includes only one syllable words, e.g., add, ten, than. Second, the words are presented at a volume that is comfortable and as clear as possible. Best audiology practices say that this list of words should be presented from a recording, although that may not occur in every clinic. The result of word recognition testing is the percentage the individual repeated correctly. 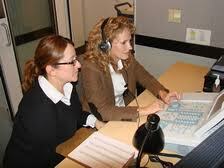 Most audiologists will count a word as incorrect if the person misses even one sound in the word. For the most part audiologists will present 25 words to each ear, so the score listed will reflect the fact that each word is worth 4 percent of the total presented. 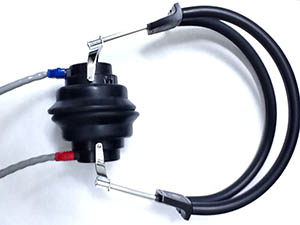 Both the sentences and speech babble are presented from a speaker directly in front of the client. The sentences and babble are played through both headphones simultaneously, with one ear done then the other. However the test is administered, the result is given as a signal-to-noise ratio, which represents how much louder the speech needs to be compared to the noise for the client to correctly repeat back 50% of the sentences. Research has been done for individuals with normal hearing, and those values are the standard that clients with hearing loss are compared to. 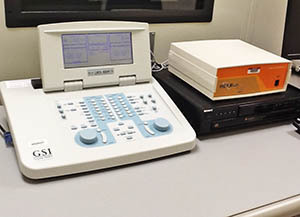 This speech in noise measure is used during the counseling process to quantify how difficult it is for the client to understand speech in noise, compared to someone without hearing loss. Another use is after hearing aid fitting to document improved speech understanding in noise when listening in a noisy background. Audiologists are licensed by the state(s) in which they practice. They must have a graduate degree; formerly audiologists needed a master’s degree to practice and must now have a Doctor of Audiology degree (AuD). Most states have grandfathered audiologists who have a master’s degree but not an AuD degree. Many audiologists are also certified through the American Speech-Language-Hearing Association with the Certificate of Clinical Competence (CCC/A) or the American Board of Audiology (ABA). Both of these certifications as well as most state licensure agencies require continuing education credits for audiologists. Clearly the person seeking help is the primary member of the hearing healthcare team. That person needs to inform the professionals about their communication needs, particular situations in which they are having problems, medical history, work history and communication needs at work, how the hearing loss is impacting their daily life, lifestyle and emotional state. Verbal communication requires at least two individuals, and thus it’s important to involve family members and other significant communication partners in the hearing evaluation, hearing aid fitting and assistive technology assessments processes. In addition, family members may provide pertinent history information and be present for the hearing aid and/or assistive device fitting. Their presence at the fitting session gives the family an additional person to understand how the hearing aids work, how to insert and take out the hearing aids, and how to hook up any assistive device with the hearing aid, e.g., Bluetooth for a cell phone or a television device. Geneticists generally are medical doctors while genetic counselors most often have earned master’s degrees in genetic counseling. It is becoming clear that most hearing losses have a genetic component, if not a complete genetic basis. Based on test results and case history information, the audiologist may recommend that the client and the client’s family seek genetic counseling. Whether the individual and family pursue the counseling option is, of course, a private decision. Often, the outcome of a genetic evaluation will have little impact on audiologic care, unless a condition is identified in which it is suspected that the hearing loss will worsen over time. In this situation, foreknowledge of that possibility would allow for future planning to manage the hearing loss appropriately. Hearing aid dispensers are licensed in the states in which they practice, although this may vary by state, as will other requirements. As of December 2011, 10 states require an Associate’s Degree to be a hearing aid dispenser, another 31 require a high school diploma or GED, and the remaining 9 are silent on the minimum education required. All but eight states have a requirement for continuing education. A brief overview, by state, of various regulations for hearing aid dispensers may be found here. Hearing aid dispensers will typically perform audiologic evaluations and fit hearing aids. There may be state-to-state variation in whether an audiologic evaluation performed by a hearing aid dispenser can be used by the VR Counselor except to establish eligibility. The ear-nose-throat (ENT) doctor is oftentimes quite important in treatment for hearing and balance problems. If an individual has a conductive hearing loss it is possible that surgery will improve the situation or even cure the problem, depending on its exact nature. In contrast, the surgeon may need to operate on the 8th cranial nerve (the vestibuloacoustic nerve) and sever the nerve completely, thus wiping out hearing and balance information from that ear. Additionally, the ENT is the surgeon who will perform cochlear implant surgery as well as bone anchored implant surgery. The speech-language pathologist (SLP) has earned a master’s degree and all states require licensure to practice. Most SLPs are also certified by the American Speech-Language-Hearing Association with the Certificate of Clinical Competence (CCC/SLP). In the case of adults with acquired hearing loss, SLPs will most often be called on to provide audiologic or aural rehabilitation. This therapy will consist of listening to speech sounds with the hearing device, learning how the sounds may be slightly different than with no hearing loss. Lip reading and/or speech-reading may be covered as well. The VR counselor plays a vital role in the habilitation of someone with hearing loss. Part of what a VR counselor will do is refer their client for the initial hearing or audiologic evaluation and also buy hearing aids and/or other types of assistive technologies for them. However, these are only “the tip of the iceberg”. The reader is referred to the How section of this training for more in-depth information about all the help a VR counselor can provide. In terms of interacting with the audiologist, the VR counselor can be quite helpful for the client if they let the audiologist know the various pieces of information that are needed. For example, speech in noise testing isn’t always completed by the audiologist, but that information is critical for understanding functional limitations. By the same token, audiologists may not have a person being seen for an initial audiologic evaluation complete a questionnaire about how the hearing loss impacts communication, daily living and/or their emotional lives. Requesting these specific types of information will help audiologists understand the information VR counselors need to best help the client.